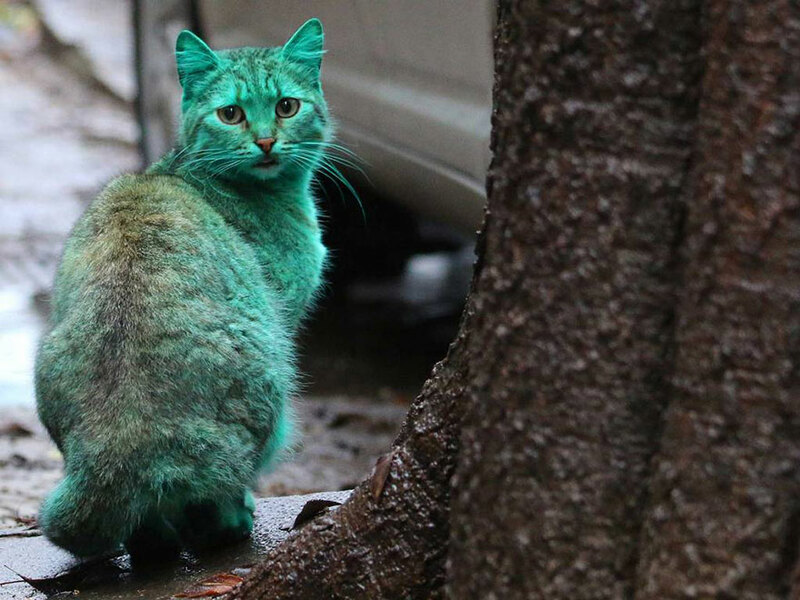 Home / Animals / Phenomenon / Strange / Viral / A Green Cat? How Did This Happen? 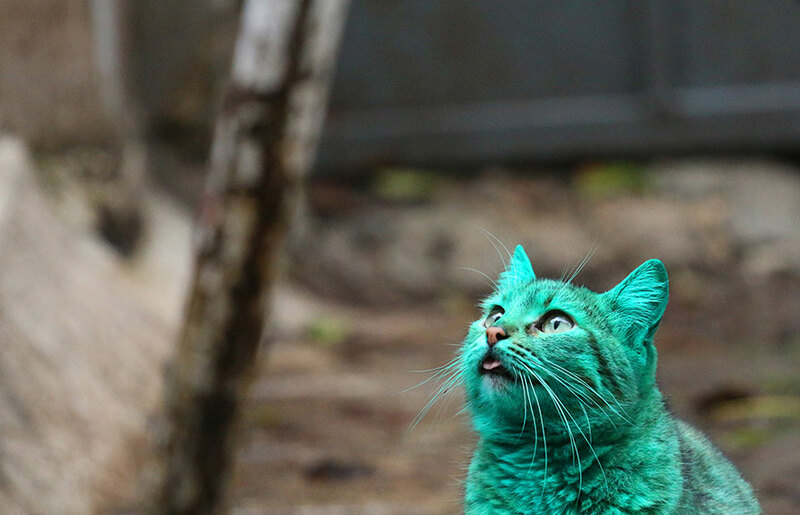 A Green Cat? How Did This Happen? 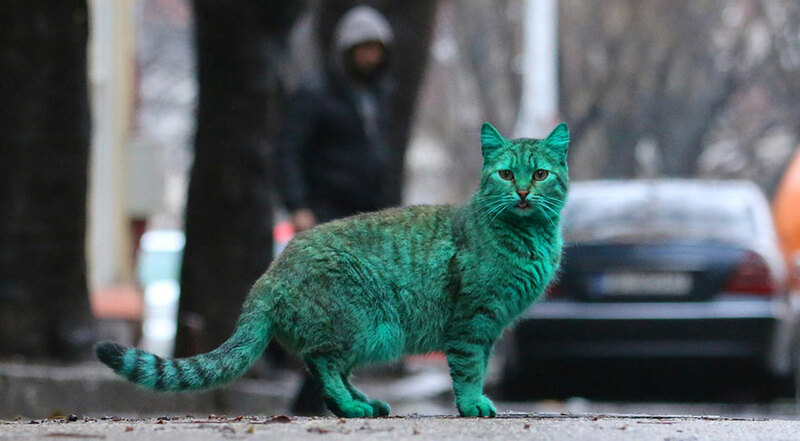 That’s not Photoshop – that’s a real-life green cat that has been stalking the streets of Varna, Bulgaria. 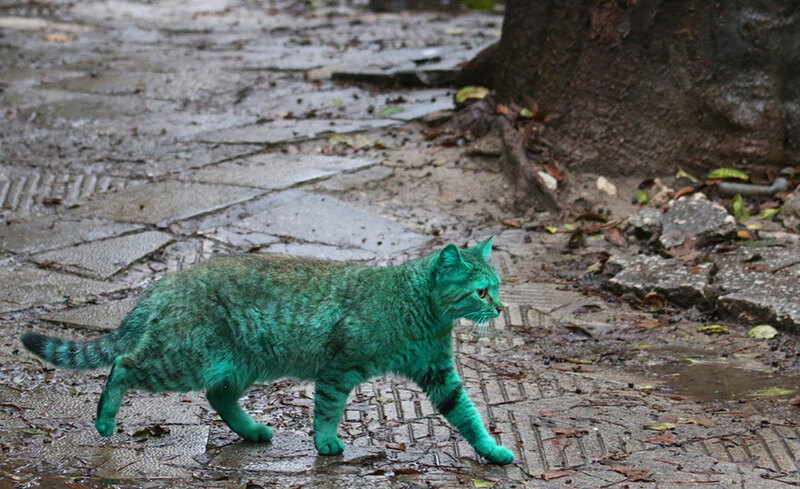 Residents stumped by its bizarre color were led on a hunt to find out the secret of its unnatural coloration. 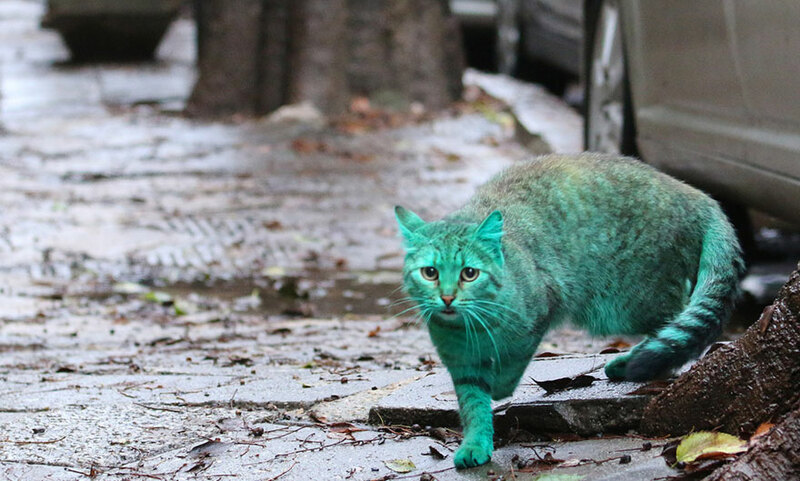 The first suspicion was that someone had played a cruel joke on the cat by painting it green. Residents had even formed a Facebook group to coordinate their search for the culprits. 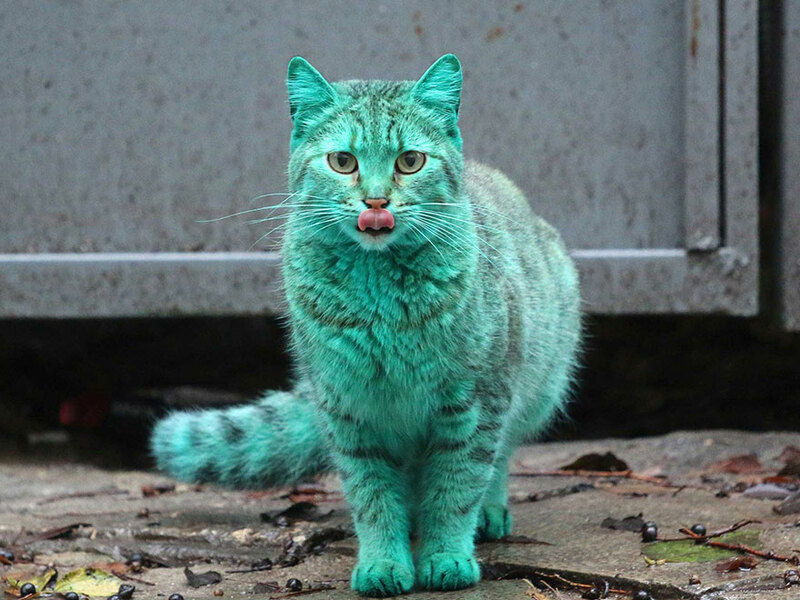 The truth, however, was somewhat less nefarious – it was discovered that the cat had taken a liking to sleeping in a pile of powdered green paint at a local garage. 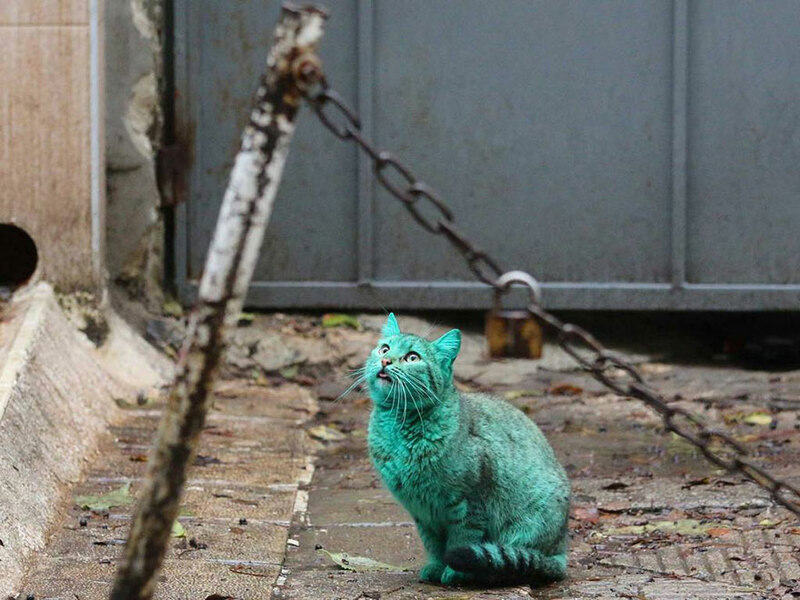 So far, efforts to capture the cat and clean it or inspect it for health issues have been unsuccessful. 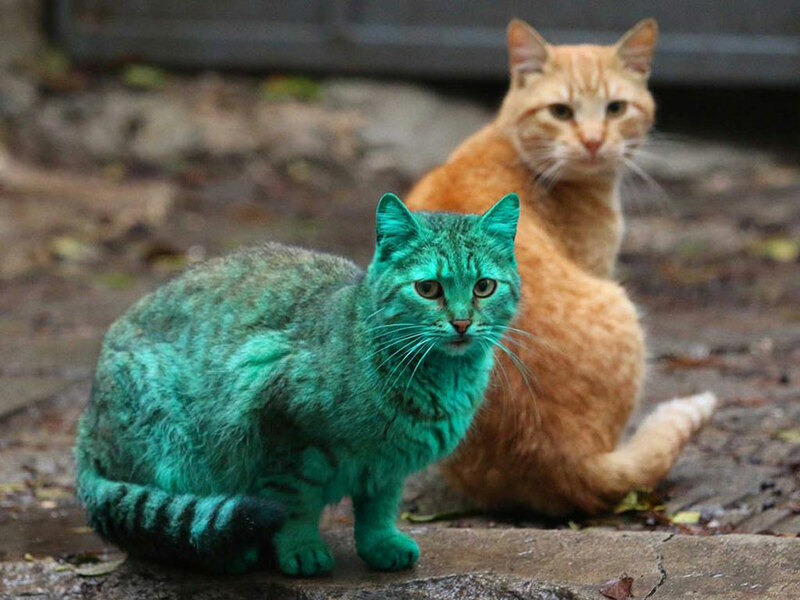 However, neither the cat nor its friends seem very bothered by its peculiar coat!